Welcome to AG Insights – where you will find a collection of reports, virtual tours, and videos that explore industry trends and topics, including the results of our Boomers in Transition Survey Series. Sign up for our newsletter to receive updates on our latest Insights. What’s Next in Unit Design? The question everyone is asking right now is – What do Boomers want? We know this influential demographic of approximately 74 million people is redefining aging. 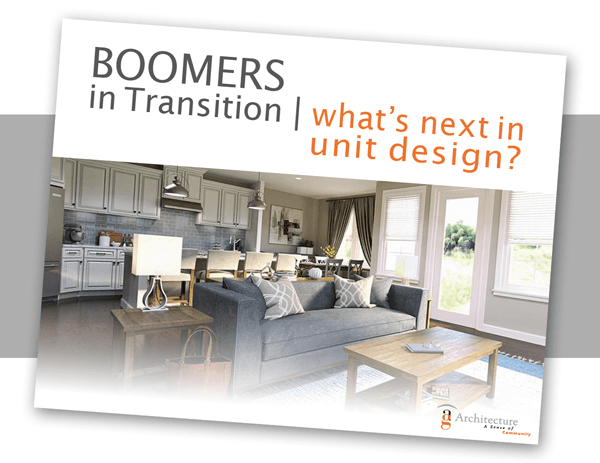 As an architecture firm that specializes in designing places where people live and creating a sense of community, we want to know how and where Boomers want to live in the coming years. As Boomers transition into retirement and contemplate how to maintain a vibrant active lifestyle, evaluating housing options becomes part of the discussion. 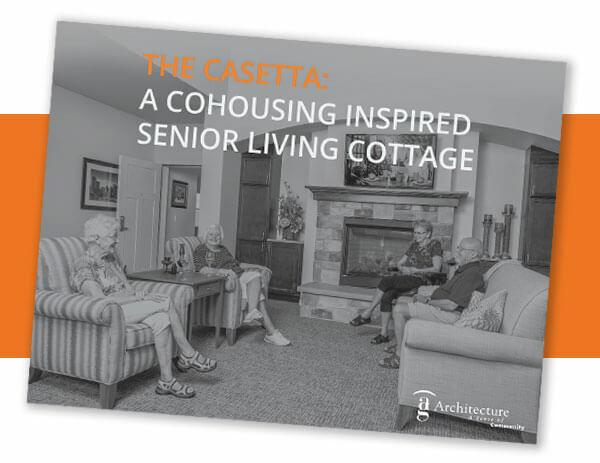 There is a greater desire to age in place, which challenges developers and senior living providers to offer an enticing alternative that is attractive to this market.